Today I want to share cards I made with King of the Grill. I used this set for Fathers's Day cards last month. I love this king. He is so happy to be grilling again. Reminds me of my sons. They are THE grill masters in my family. They display their joy almost as much as our king of the grill. This set is available in the Stampin' Up Summer mini for $18.95 (wood mount) or $14.95 (clear mount). 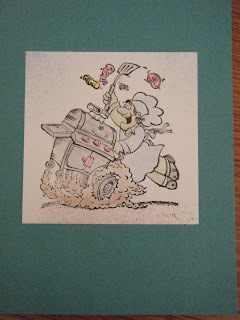 Yesterday I featured the Motorcycle stamp set and forgot to mention that it is in the summer mini. Motorcycle is priced at only $8.95 and only comes in wood. I had fun with that one too. 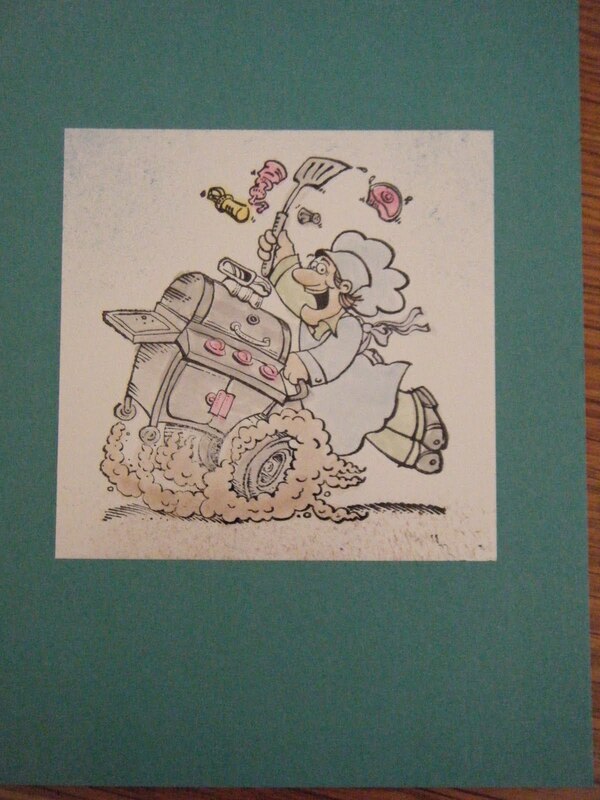 Well you know the recipe for my Motorcycle cards and now I'll list the ingredients for the King of the Grill. Most of the cardstock I used has retired. I will indicate with an R if it has. Each image was colored with the same classic inks. I'll list those colors with my next card. 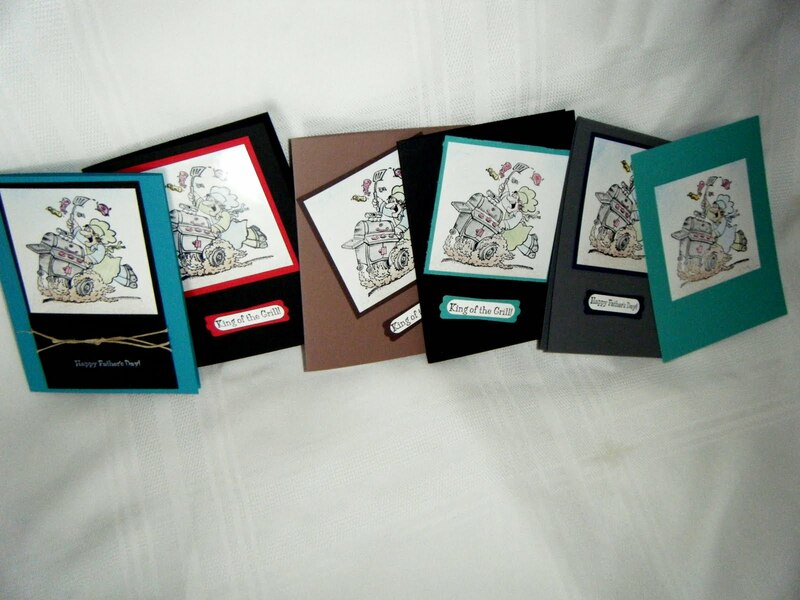 Cardstock used from left to right: Taken with Teal (R), Basic Black; Black, Real Red; Close to Cocoa (R), Black; Black, Bermuda Bay(R); Basic Gray, Bermuda Bay (R); Handsome Hunter (R); Glossy White was used for each card. I have to tell you one more thing about making these cards. Using Glossy White cs made the color just glide onto the paper so easily. If I have peeked your interest in placing an order, so that you too can make masculine cards for the men in your life, please do so by going to my website. You'll find the site very easy to use. Thank you for visiting.